Destiny 2 Giveaway - Win the Collector's Edition! Destiny 2 has been out for about three weeks now and has been received to both critical acclaim and commercial success. In fact, at one point shortly after launch, more than 1.3 million players were all playing the game concurrently, which is an impressive number. Destiny 2 is one of the biggest games of the year, and we want to give PlayStation LifeStyle readers a chance to get the ultimate Destiny experience with our Destiny 2 giveaway. 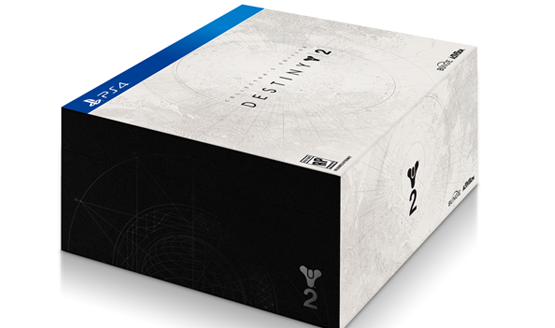 Thanks to Activision, we’ve got our hands on a Destiny 2 Collector’s Edition that we want to give to you. Prizes: Our grand prize winner will be taking home the Destiny 2 Collector’s Edition for PS4. 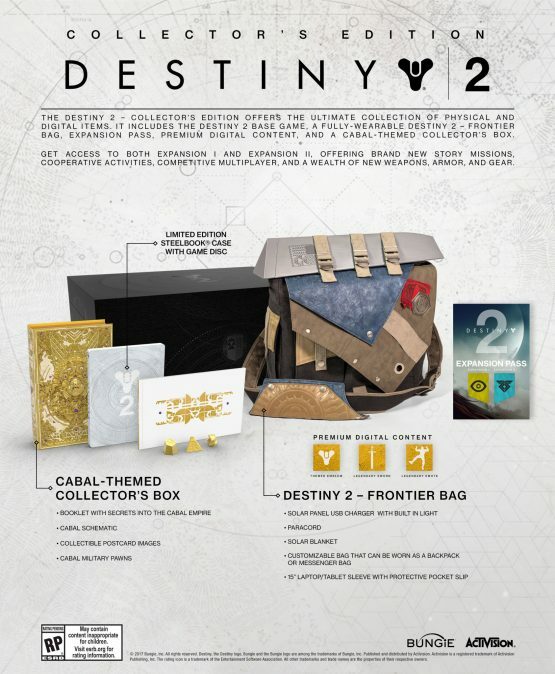 This Collector’s Edition features a functional replica of Hawthorne’s bag and survival kit, a Cabal-themed collector’s box with more information on Calus and the Leviathan Raid, a steelbook for Destiny 2, the Destiny 2 Expansion Pass featuring the first two expansions coming to the game, and more. The image below shows the full contents of the Destiny 2 Collector’s Edition. How to Enter: To enter here on the site, all we’re asking is to leave a comment below telling us what your favorite thing is about being a Guardian. It could be anything. Is it the exotics? The challenge? Taking on the minions of evil with friends? What do you like most about wielding the Traveler’s Light? Even if you haven’t been a Guardian before, let us know why you want to be a Guardian now. Why do you want to join the ranks? Make it interesting. Capture our attention. The Fine Print: Giveaway is only open to residents of the US (sorry international readers! We promise, we’ll work on getting you a sweet giveaway soon!). The giveaway will run until October 4, with the winners to be announced the following day, so make sure you get your entries in before then! After winners are selected, we will be contacting you to confirm eligibility and get your address for shipping. If you do not reply within 48 hours, another winner will be selected. Prizes will be shipped Soon after confirmation. Make sure to read our Destiny 2 review, where we talked about how Destiny has its hooks back in the longtime players. Good luck to everyone entering our Destiny 2 Collector’s Edition giveaway!